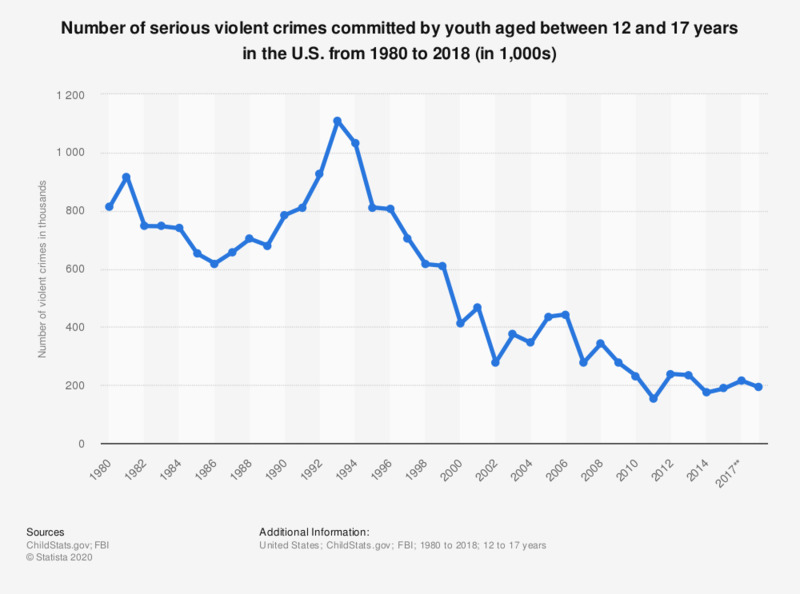 This statistic shows the total number of serious violent crimes committed by youth, aged 12-17 years, in the United States from 1980 to 2016. In 2016, 182,000 cases of serious violent crime committed by youth were reported in the U.S.
*Homicide data were not available for 2016. Statistics on "Teenagers in the U.S.: Juvenile Delinquency"